On Thursday, I was very pleased to meet with Father Wayne Paysse, a priest from the Archdiocese of New Orleans who is the new director of the Black and Indian Mission Fund at the U.S. Bishops’ Conference. 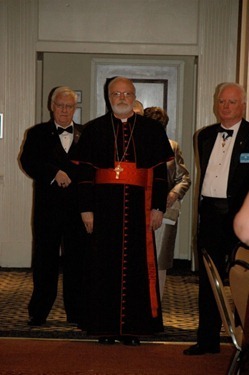 For many years the director was Msgr. Paul Lenz, who was very supportive of my ministry in the Virgin Islands. Msgr. 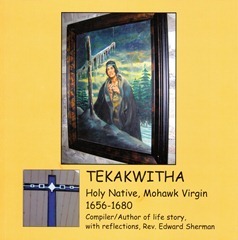 Lenz was also very instrumental, I believe, in promoting the cause of Blessed Kateri Tekakwitha, who will be canonized due in great part to his good offices that promoted the cause. 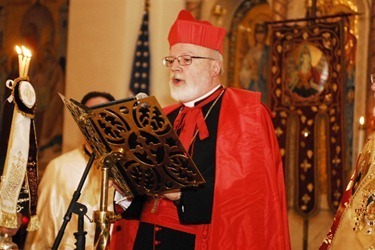 He did an extraordinary job supporting the ministries of the Black and Native American communities and now has been replaced in this wonderful post by Father Wayne Paysse. This ministry, which does such important work for our Church, is supported by a yearly second collection in all our parishes. Many of the second collections we have in our churches are a way that we, as Catholics, participate in the universal Church and promote evangelization and works of mercy across our country and across the globe. It is not just that the basket is being passed once again; it is an opportunity for us to be in solidarity with our brothers and sisters in the faith in other parts of the globe. This is part of the catholicity of the church. 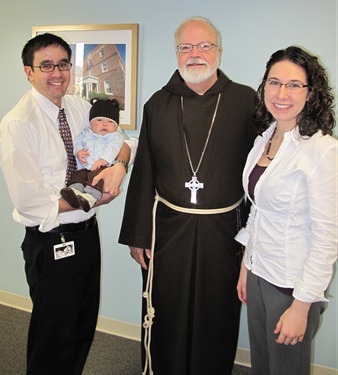 Also that I was happy to meet the latest member of the Archdiocesan family, Isaac the newborn son of Rico Ciricola, who works as Executive Assistant to the Vicar General and his wife, Ashley. The proud parents were showing him off around the office. 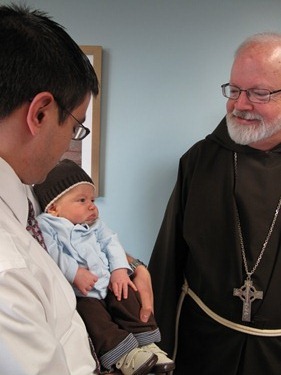 It was wonderful to meet little Isaac. Congratulations Rico and Ashley! 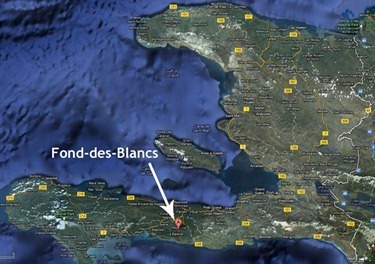 Also on Thursday I was visited by Paul Fanning and Connor Schapiro, members of the St. Boniface-Haiti Foundation that runs the Catholic hospital in Fond des Blanc in Haiti. This is a local group that was founded in St. Boniface parish in Quincy. 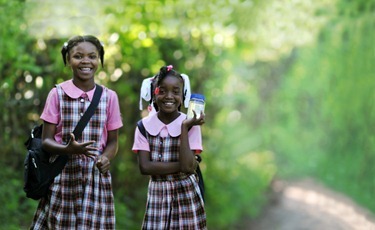 The foundation has done an extraordinary job providing healthcare for the Haitian people. They run one of the largest and best hospitals in the country. Paul is on the board of the foundation and Connor has lived in Haiti for quite a long time and now splits his time living in both the US and Haiti. They came to give me an update on some their activities. On Friday, I participated in the annual meeting of our Planning Office of Urban Affairs. The work done by the planning office is just amazing. They have created over 3,000 units of housing for elderly and low-income families. 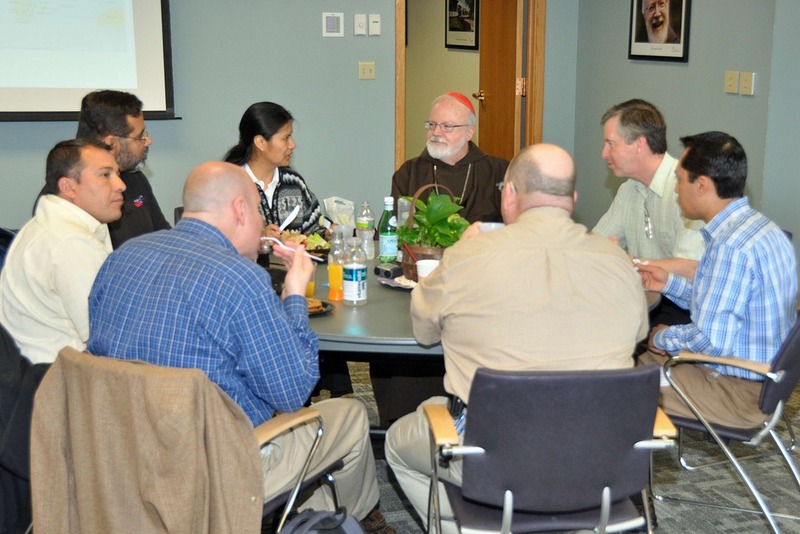 They have done an extraordinary job taking up the challenge of the bishops’ pastoral that the Church review its resources and properties and do as much as we possibly can to promote and provide housing for low-income families. The archdiocese has been engaged very actively this ministry and Lisa Alberghini has done an extraordinary job leading that office. 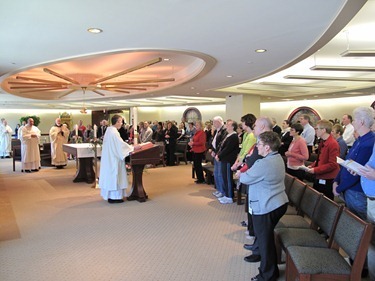 At noon that day, I celebrated the Mass here at the Pastoral Center as a way of celebrating Easter week with employees at the Archdiocese. 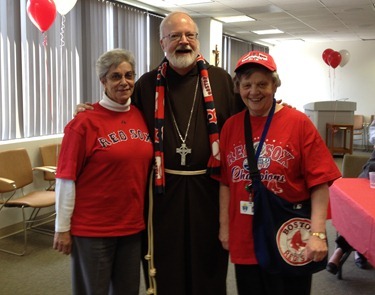 It also was the day of the Red Sox home opener. 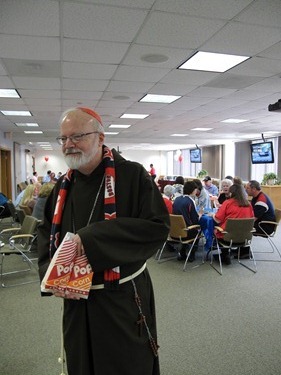 So after the Mass we had a sort of "take me out to the ballgame" lunch for the staff with hot dogs, hamburgers, popcorn and such. To top the day off, the Red Sox won, though they seem to have trouble doing so since. 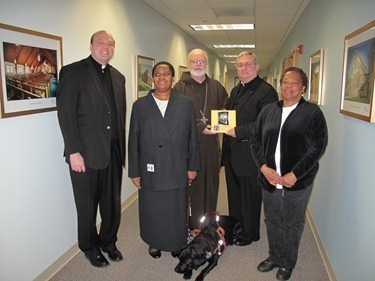 On Saturday morning, I came into the Pastoral Center for some meetings. 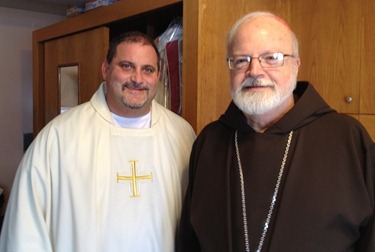 I was visited by Father Red Raux, one of our priests of the archdiocese who is serving in the military. He is currently serving at the Pentagon but is being reassigned to Germany and he came by for a courtesy visit. 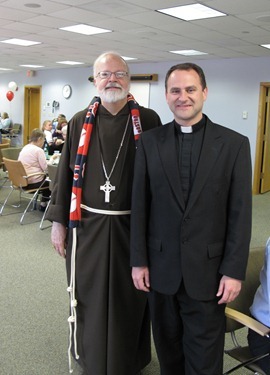 We wish Father Raux well in his new assignment and thank him for his service to our country. 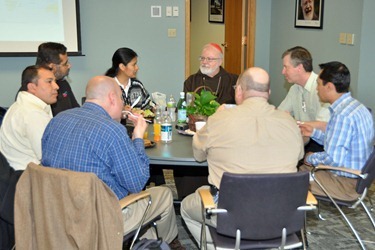 Then we had midday prayer and a session with the 47 candidates for the permanent diaconate who were meeting at the Pastoral Center for an all-day session classes and presentations. 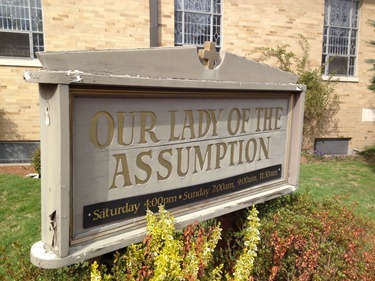 That afternoon we travelled to Lynnfield celebrate the 75th anniversary of Our Lady of the Assumption Parish. 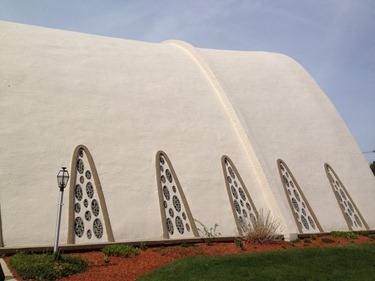 Father Jack Farrell has been pastor there for a number of years and has done an extraordinary job. 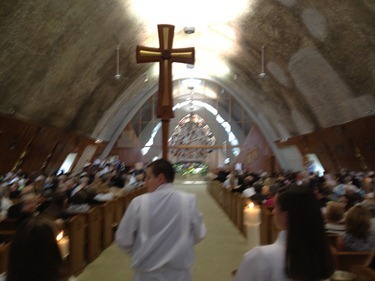 The parish is very vibrant; they have a youth choir that sang and a very good parish choir. 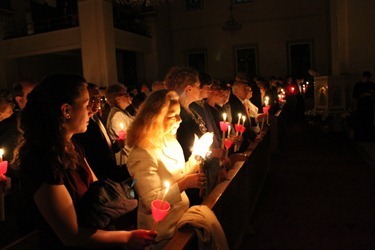 There were also a number of high school-aged altar servers – there were just so many signs of vitality. It was very good to be able to be together with the people of the parish as they marked this important milestone. 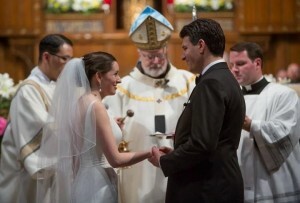 That evening I celebrated the wedding of Tim Van Damm and Cecilia Zavala at St. Clement Eucharistic Shrine in Boston. 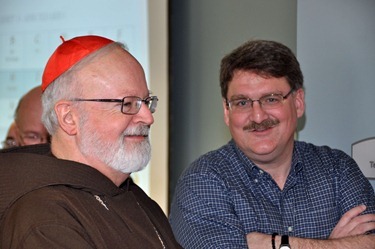 Tim, of course, was very active in our Boston Catholic Men’s Conferences and has remained active in the Young Adult Ministry in the Archdiocese. As I told the couple, their vocation is a gift to the entire community of faith. It was a pleasure to preside at their wedding. 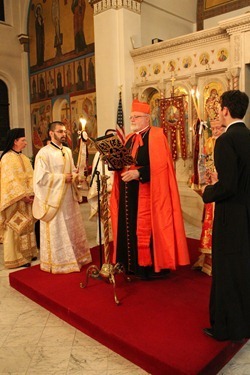 Just as Metropolitan Methodius joined us for our annual Chrism Mass at the Cathedral during Holy Week, and brought us greeting from the Greek Orthodox community (as regular readers will remember), so I went to be present for their Easter vigil which this year was the Sunday after our Easter, according to the Julian calendar. During the liturgy I was invited to proclaim the gospel an address the people. 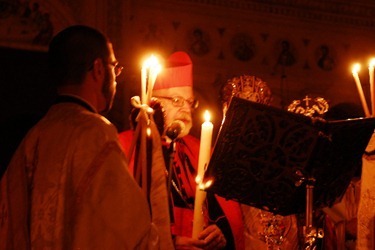 It is always a great honor and pleasure to join our Orthodox brothers and sisters for this most holy night of the Christian year. 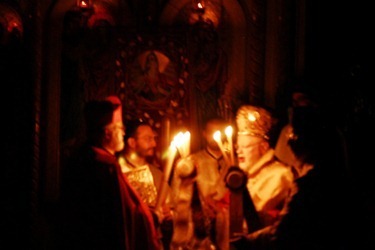 I came back directly from the Greek Orthodox vigil to attend the Easter celebrations of our Ge’eze Rite community that were still going on. These are the Ethiopian and Eritrean Eastern Rite Catholics whose community is based in the Cathedral of the Holy Cross. 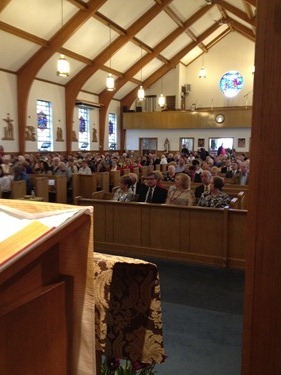 On Sunday I was very pleased to go to St. Malachy’s Parish in Burlington to celebrate confirmations. 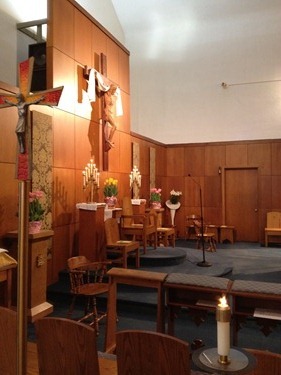 Father John Capuci is the pastor there. It is always a great joy to help celebrate confirmations of our young people. 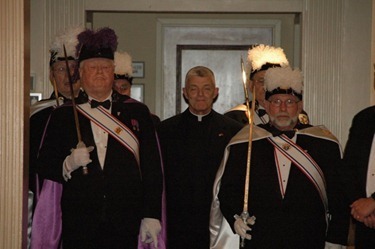 On Monday, I attended the Knights of Columbus Lantern Awards ceremony at the Sheraton Hotel in Framingham. 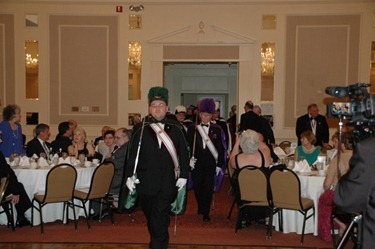 The Lantern Award has been presented to an outstanding citizens by the Massachusetts State Council of the Knights of Columbus every year for over 50 years at their Patriot’s Day Dinner. 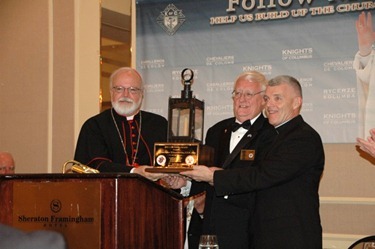 The recipient of this year’s award was Father Bill Devine, a priest of the Archdiocese who has been deployed many times in Iraq and Afghanistan. He gave a very moving witness of what it was like to serve the troops in those war zones. 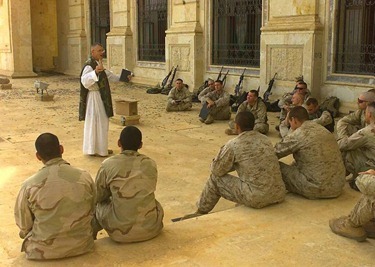 We see the role of the military chaplain as a very important service to the Church, and the Archdiocese of Boston has always tried to be very supportive of our priests who choose to serve. 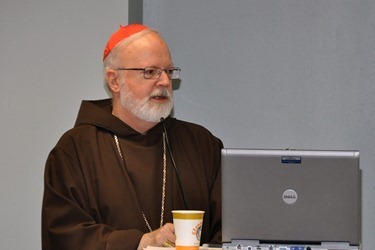 It is very important that the Church be present to this demographic of young people, particularly those who are in harm’s way because of military service. 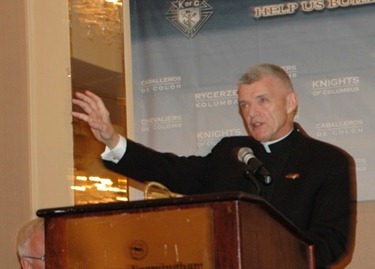 In fact, we announced this week that our Secretary for Parish Life and Leadership, Father Tom Foley, will be leaving to become a military chaplain — just another example of the fine men who have chosen to serve their Church and their country in this way. Earlier I was describing the wonderful work of our Planning Office of Urban Affairs. Well, we had another example of that work on Tuesday morning when we gathered to dedicate their latest affordable senior housing complex in Billerica. 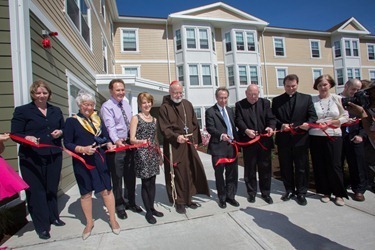 The Rose Hill Manor complex was developed by the Planning Office in conjunction with parishioners from St. Theresa of Lisieux Parish in Billerica. Together, they have created a wonderful housing complex for senior citizens on property that had been owned by the church. The name was chosen as an allusion to St. Therese of the Little flower, who is always represented by roses. 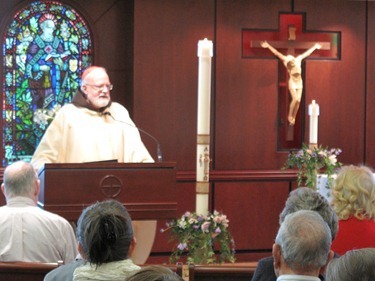 Father Gene Tully was very instrumental in bringing this about and he was presented with a table made out of the cherry wood from a tree that had been on the property. This project is yet another example the benefits society gains through the partnership between the Church and local, state and federal governments. 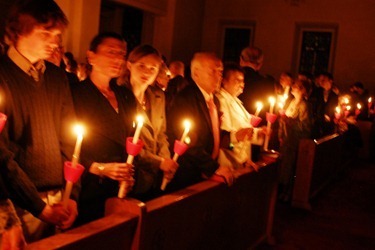 As the controversy rages about the HHS mandate and erosion of religious freedom, people should realize what an extraordinary contribution the Catholic Church, and other nonprofits, make to the life of this country and, therefore, the importance of exemptions that allow these kinds of wonderful ministries to exist and to make such an extraordinary contribution to the life of the community. 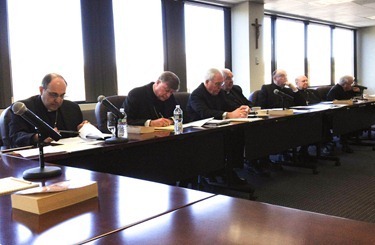 Twice a year we meet with the bishops of the Boston province, which is comprised of the dioceses of Massachusetts, New Hampshire, Vermont and Maine. At this meeting we discussed a number of pastoral and local issues. 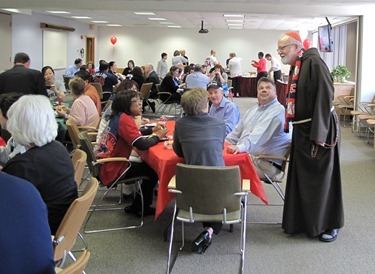 We also took the occasion of our lunch together to honor Bishop Robert Hennessey on his 60th birthday. Finally, that evening Father Paul Aveni invited a number of his classmates and other priest friends for evening of dinner and socialization at St. Ann’s Parish in Wollaston. 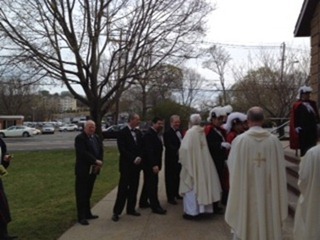 I was very happy to join them and spend some time with my brother priests. 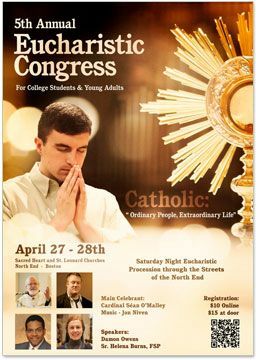 Before I end this post I would like to invite you to the Eucharistic Congress for College Students and Young Adults that will take place next weekend in the North End. You can read more here.